Posted 9:00 am by admin & filed under Residential Electrical Systems. You should never just hire the very first commercial electrician that you find online. Here, we provide you some tips for finding a highly-qualified expert electrician. There are plenty of electricians around but you need to hire a commercial electrician who’s right for you and your business. You do not want to risk the safety of your employees, your property, or yourself by slacking on the research you need to do in order to find a proper electrical contractor. 1.) Consider their training and background. You want to hire a person who has had enough experience in dealing with commercial electrical systems that you’ll never have to worry about finding another contractor. The last thing you want is an electrician who isn’t equipped with the right skills for your job. This can result in mistakes that will cost you, the business owner, in the long run. 2.) Make sure that they are versatile. A professional electrician should be one that can do a lot more than change a fuse. These are things that an average home owner can learn how to do on their own, but more complex jobs should be left in the hands of a real professional. A real electrical contractor has training in electrical engineering and can handle the complex problems that arise in the process of installing commercial electrical networks. 3.) Look for someone who will be available. In searching for the best contractor to offer repair and maintenance services to your electrical system, you need to choose a person who is good at showing up when you need them and getting the task done correctly. Find somebody that you can easily access without wasting time. 4.) Check on the necessary electrician’s license. Before you select a commercial electrical contractor, make sure that you see the individual’s license. If the company you intend to hire (or the contractor themselves) cannot show you a license, look to another for service. This is extremely important. If anything goes wrong, you want to be able to track down the contractor easily. 5.) Check on the electrician’s insurance. You want to be sure that the electrician you hire carries insurance. You never know when an accident might happen inside your office, and you definitely don’t want to worry about this later. 6.) Request recommendations from your pals. Before looking for an electrical contractor on your own, ask for recommendations from your family and friends. Many people need electrical work done at some point, so it never hurts to seek advice from the people you trust. If this doesn’t work, take a look around online for lists of local electrical contractors. You’ll be able to request testimonials and see examples of work they’ve done in the past. This will also help you to verify that you’re getting the best work for your money and that you can trust the electricians that you’re hiring. Every household spends a substantial amount of money each month on electrical energy consumption. Families that have more than two members, especially those with kids and elderly people, pay much more on energy than they should. Home energy efficiency is desirable from both environmental and financial perspectives. Many people forget just how beneficial it can be to cut back on energy usage in the home. Not only will it enable homeowners to help the environment, but it can also save them hundreds, if not thousands, of dollars a year. By saving electrical energy, you will also eliminate some wear and tear on your household electrical appliances and you won’t have to call an electrician every time something makes a funny noise. Homes must make every effort to reduce operating costs if they wish to remain effective. Taming electricity costs is one step toward that goal. An electrical contractor in Vancouver BC can assist you to save electrical energy. Here are top ten ways to save electrical energy in your home. Once you have made these necessary adjustments, you will see your electricity usage begin to drop. 1. Do not keep anything turned on if you do not absolutely need it. Lights, fans, electronics, gadgets, electrical devices, and even fixtures such as water heaters or pumps for the pool should all be turned off immediately after their job is done. Make sure that lights are only on in rooms when they are needed. Unplug any electrical device that is not in continual use. Many electronics sit unused, yet fully charged. By plugging something in only when you need it, you can save electrical energy being used in your home. If this practice can be truly adhered to then a household can easily save in excess of a hundred dollars a year. Many modern homes are insulated. Regardless of whether or not you have insulation, check if the insulation is working. The best way to stay warm during winter and cool during summer is to have a perfectly well insulated home. This can help you save electrical energy of your home. An electrical contractor in Vancouver BC can replace all fixtures and appliances that consume too much electrical energy. Obviously, you cannot possibly replace all of them at the same time. We recommend starting with the lights. Even if you have replaced your incandescent lights, it may be time to make way for LED lights instead of CFL lamps. 4. You should use a tankless water heater. Whenever you store hot water and don’t use it, the water cools down and you have to heat it again. Why waste money and electrical energy on heating water and storing it when you’ll just have to store it again? 5. Be smarter about warming and cooling your home. In summers, you can use an exhaust fan to get rid of the hot air and then use your air conditioning unit to cool the room or house further. In winter, use foam or other insulating materials to keep your house warmer. This can help you save electrical energy. 6. Take advantage of daylight as much as you can. Try and avoid using lights throughout the day. Also, get rid of any additional lights which are purely decorative. You can have them in your house but do not use them unnecessarily. This can also help in saving electrical energy. 7. Do not keep gadgets and appliances in standby mode. Electrical contractors will recommend that you turn off all gadgets and appliances before leaving at night. Additionally, you should replace the thermostat with one that can be easily programmed. 8. Opt for energy-efficient bathroom amenities. From dual flush toilets to shower heads, plumbing fixtures can be switched out to save electric energy. Utilizing solar power instead of electricity to heat water is much more beneficial to your energy consumption costs. 10. Endorse modern cooking methods. 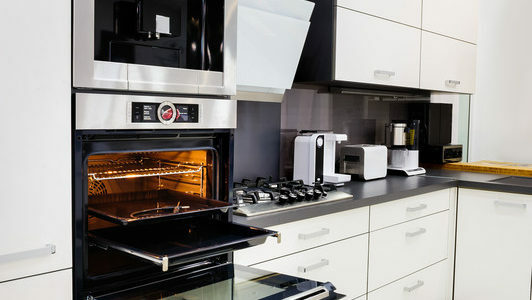 Induction stove tops, convection ovens, and high-pressure cookers, among other modern appliances, will help you to cut energy costs in the long run. A good electrician can be extremely hard to find. Will they have the specialization to perform the task you need them to? Will they do it effectively, and will it be for the right price? These are the most common questions that plague householders as they rifle through the Yellow Pages and look for a new electrician. For some people, these questions overwhelm them so much that they often leave electrical mishaps unfixed for as long as they can. Far more serious than being just an inconvenience to your family, procrastinating on electrical repairs is unsafe and outright negligent. So what should you look for in an electrician? It is extremely important that you hire an expert electrician to do the job, not a handy-man or someone who just claims they know what they’re doing. Electrical systems are complicated to work with and one mistake could put your home or family in danger. If you have been referred to an electrician by a trusted friend or family member, you can probably check this box straightaway. If not, you need to make sure the electrician is reputable, efficient, offers high-quality electrical services, and is reasonably priced. When it comes to choosing an electrician, don’t be afraid to shop around. Remember the days when tradespeople would take their time to drop into you somewhere between 9am and 5pm on any given day? Don’t settle for someone who makes you stay home all day twiddling your fingers and waiting for them to arrive. Insist that they specify a time and date. It is no good if you hire an electrician that cannot fix the problem required, so make sure that they are fully equipped and qualified to do any electrical tasks. The simplest way to judge an electrician is to see whether they carry a proper license. A professional electrician is supposed to obtain their license as soon as they complete the training program and standard assessments. They need to present at least two years of work experience as an electrician and should be well conversed with the National Electrical Code and its regular changes. The license is significant to electrical contractors, as it denotes that they are qualified enough to install, plan, design, and maintain any electrical system. There is another type of licensing which offers certification to the journeyman electrician who works as an assistant with a senior electrician. A journeyman electrician has not yet qualified to receive a master’s recognition, which prevents them from designing electrical circuits, but allows them to install the wiring and other related equipment. Once you have found an electrician who fits the bill, hold onto them. If you continue to have no luck in your search, keep asking the people you know until you find someone. If an electrical mishap occurs in the meantime, feel free to shop around and ask some electrical companies to provide you with a quote before they start working. You never know – you might just find a great company through a quick online search. Warning: Are You Making These 7 Shocking Fire Hazard Mistakes? Posted 10:00 pm by admin & filed under Residential Electrical Systems. While fire disasters often happen without any prior notice, there are certain incidents that happen because we do not exercise due caution. Therefore, assess your fire prevention measures and see if you are doing any of these shocking fire hazard mistakes. Do not forget that in the case of help, you can always get in touch with a Vancouver electrician. If you have the habit of leaving lights on and moving out of the room, then it is about time you changed this habit as this is not only a fire hazard but it will also cause an unpleasant addition to your electric bill. How will it cause a fire? Light bulbs can become seriously hot and if they are not handled right, then they may start a fire. Also remember that no matter which type of light fixture you use, none of them are completely safe. So it is best to turn off the lights as you leave your room, be it for a short time or when you leave home for a vacation. Even during holidays, if you use electrical decorations indoors or outdoors, be sure to set them up properly. If you are placing lights on a Christmas tree indoors, keep watering the tree as the dry tree has greater chances of catching a fire. The possible solutions to these issues include unplugging unnecessary lighting before you leave the house, installing sensor controlled lights so that you save electricity, and are safe and following all holiday decoration safety rules. Extension cords are used to provide electricity to equipment and if you overload these with too many cords, then there’s a chance of them catching fire. Most of us overload the extensions during the time of festivals as we decorate our homes with lights. Also, it is a wrong practice to place these cords under doorways and carpets. 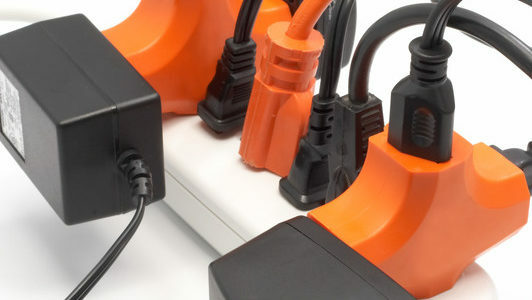 Additionally, large appliances must not be plugged in the cords as too much load on them can lead to a fire. Possible solutions include avoiding the use of extension cords on a daily basis and to preferably get circuits/outlets installed. Also, major appliances should not be plugged into wall sockets – not to mention one needs to buy and use the proper length cord. Fire can be caused if you are not getting your home’s chimney cleaned on a regular basis. The reason is that animals might build their nests in them and drop debris, both flammable and not flammable if the chimney is not used for days. Also, certain substances such as Creosote could build up within the fireplace – this substance is extremely flammable. The one and preferred solution to this problem is cleaning the chimney on a regular basis. You should always closely monitor the food that is being cooked as leaving it unattended on a stove or open flame can lead to a fire outbreak. There have been incidents where cooks left food unattended and the frying pan caught fire. So, monitor your food as it is being cooked. The best way to go about this is to first cook the food and then leave the kitchen when it is all done. Candles can brighten your home when there is a power outage and can also add beauty to a decoration. While these candles are easily available and can be lit easily, if left unattended they can also cause fire in a room. So if you have used candles, the best thing to do is to blow off the candles that are not in use. Another point of caution is to keep candles at least 12 inches away from other objects, use battery-operated candles, and employ appropriate handles for candles. During winter, it is common to find space heaters in use in many homes. The risk of catching fire through these heaters is doubled when you use the coiled ones. In case you are using coil heaters to beat the chills, you should ensure that these are placed at safer distances. Also, you must get a fire-proof gate around these heaters (especially if you have children at home). The ideal thing to do will be to use automatic heaters that will automatically turn off in case the temperature in the room rises too high. Some people smoke indoors and not only can it damage their health, it is also a high risk for fires. Therefore, those people with the habit of smoking indoors should try smoke outside and if they must do it indoors, they must extinguish cigarette filters using water or sand. Also you should not hold on to or flick away cigarette butts that are still lit. If you practice caution and refrain from making all these mistakes, then you can reduce the chances of fire in your home. Nobody wants it to happen, so it pays to be prepared and in case you don’t want to be caught unawares, you should always contact a Vancouver electrician. Posted 4:01 am by admin & filed under Residential Electrical Systems. The holiday season is officially here. Halloween has long gone, Thanksgiving is just around the corner and before you know it, we will be counting down the final seconds of 2016. As we get ready to ring in the new year, it’s a good idea to start thinking about resolutions. A fresh start on January 1st is the perfect time to embrace a little change. A better healthier, lifestyle, a more promising career, and a new electrical system. It may not be the first change that comes to mind when you think of altering your life for the better this New Year’s, but upgrading the internal wiring of your house may be just the makeover you and your home deserve. Here’s how to know if your home is in need of an updated and upgraded electrical wiring system, and the many benefits that one can provide. Before you can assess whether or not an upgrade is in order, it’s important to first understand the basic operations of the wiring in your home. In essence, your home’s electrical system is like the body’s circulatory system. The electrical panel acts like the body’s heart, pumping power through the circuits (like the veins) to all the appliances and outlets in your home. An old electrical panel or less than effective circuits means your appliances aren’t getting ample blood flow of electricity. Hence, they won’t function at their best. Giving your electrical system a makeover doesn’t necessarily mean altering the wiring itself. Instead, upgrades typically involve replacing or repairing the panel so that more power can be brought into the home. Updating the circuit breaker box will allow it to handle more power. An upgrade can also involve fixing your meter or adding new outlets or additional circuits to facilitate a better distribution of power. There are a few key signs and symptoms that indicate a less than effective electrical system. If you notice these signs within your home, then that means you are probably due for an upgrade. First, if your circuit breakers trip frequently then it is safe to assume they would benefit from a little repair or even an entire overhaul. Circuit breakers typically last anywhere from 25 to 40 years, so if yours is older than that then think about investing in a new one. Another warning sign of an outdated circuit breaker is one that only has a few circuits and doesn’t trip often. This too can indicate a need for a replacement. Also, if the act of turning on appliances causes your lights to dim and/or you have to stretch your outlet availability with extension cords and adaptors, you may want to consider some electrical work. Lastly, the installation of a major energy-consuming appliance may also require a better, more efficient system. These are the most common reasons that suggest a need for an update. Remember that there are numerous others that only a professional electrician would be able to assess and diagnose. Home wiring issues can pose a variety of dangers and hazards. Always consult with a professional prior to any major changes. Why Is It Important to Upgrade Your Home’s Electrical Panel? Posted 3:58 am by admin & filed under Residential Electrical Systems. It’s possible that your electrical system is delivering the energy you need to adequately power your home. In this case, you might not need to worry about upgrades to your electrical panel. However, if your home is older and neither you nor the previous owner remodeled or updated the property, or if you start to notice problems related to energy use, then it’s probably time to schedule an inspection and consider upgrades. Here are a few important reasons to do so sooner rather than later. If you’re in a new home, then chances are that your wiring, junction boxes, and other electrical components, including your electric panel, are just fine. Older homes, however, may not be as reliable. This can be a problem that proves harmful due to potential issues like electric shock or house fire. You should speak to an electrician when purchasing a home to determine if you need to upgrade any electrical components. This is important if you notice problems like flickering lights, frequent power outages, tripped breakers, crackling noises, or burning smells. Missing components like GFCI outlets near water sources are also a good sign an upgrade is in order. Any time you undertake upgrades to your home, there’s a chance you’ll have to undergo an inspection and receive approval from a city inspector. If the electrical components in your home are outdated or they were incorrectly installed, you may need to perform some upgrades in order to comply with current standards, pass inspection, and avoid fines. This is important not only from a legal standpoint, but also in terms of ensuring safety. Qualified electrical contractors in Vancouver should be well aware of the latest standards for building codes. You’ll definitely want a professional on your side in order to ensure your home passes muster. Modern homeowners demand a lot of juice for lighting, appliances, and an ever-growing array of entertainment and communications electronics. The forward march of technology has become so rapid that even relatively new homes are having trouble keeping up. Older homes simply might not feature the electrical capacity homeowners need to support this demand, even with many devices now touting energy-saving features. This could lead to all kinds of issues, namely spotty service, blown breakers or tripped fuses, and even power outages. There are even more serious concerns like components overheating, melting, arcing, and catching fire. Whether you simply want adequate energy to meet your demand or you have concerns about the hazards of overloading your system, it’s time to call a Vancouver electrical contractor when you begin to notice telltale signs of overuse. There’s no reason why the average homeowner can’t tackle simple DIY home fixes. You can do some painting, carpeting, and even changing out the float in the toilet tank, just for example. However, there are certain tasks you should really hire a qualified professional to perform. Electrician services tend to fall into this category. Some homeowners feel comfortable swapping out fixtures or undertaking simple electrical-related tasks. However, you wouldn’t necessarily want update wiring on your own or add new outlets or fixtures. Many homeowners don’t want to mess with electrical systems at all due to risks like electrocution or starting an electrical fire. In this case, hiring qualified electrical contractors in Vancouver is probably a good idea. You just want to make sure you hire a licensed electrician. Here are some of the benefits you’ll gain by doing so. Licensure implies standardized training. Electricians that are certified, licensed, or otherwise approved by authorities will have to meet specific standards for training, including mastering skill requirements and completing a set number of hours of practical work. They’ll also have to learn about safety, as well as local codes to ensure that projects are completed in a safe and legal fashion. This is the type professional you want working on your home. Without licensure, you don’t know what level of skill and experience you’ll get. Because of the stringent standards involved in training to earn licensure, you know that hiring a licensed electrician implies a certain level of workmanship and results. When you hire unlicensed workers you may receive excellent work or you could end up with an electrical overload that results in a house fire. You can expect quality work when you hire a licensed electrician. Any time you have significant work done on your electrical system, you’re probably going to want an inspection. For one thing, failing to have an inspection could invalidate your homeowner’s insurance in the event of a malfunction. In addition, you can’t expect to sell your home without passing an inspection. It’s best to make sure everything is up to code following the completion of a project. When you hire a licensed Vancouver electrical contractor, you can be sure that the work will pass inspection. Many licensed contractors are willing to offer some kind of guarantee associated with their work, whether they promise the job will pass inspection or they warrantee their work for a set amount of time. This is perhaps the best reason to hire a licensed professional for electrical work. A mistake could result in electrocution or leave your home in ashes. It’s best to spend the money for a qualified professional. You might not be too keen on the idea of upgrading all the light switches in your home to put your fixtures on dimmers, even though you’ll enjoy more flexibility in the process. What you may not realize is that there is a slew of benefits you can gain when you swap out switches. Here are a few advantages of having dimmer switches throughout your home. When you comparison shop for electrical contractors in Vancouver to install your dimmer switches, the main draw is probably the variety of lighting options you’ll enjoy. The kitchen, for example, is an area where bright illumination is essential to safety during food prep and cooking, not to mention spotting issues like rot and mold on your food. That said, there may be times when you want to tone it down, even in the kitchen. For example, when you’re hosting a party bright lighting might prove intrusive. In other rooms in the house, bright lights could be practical for cleaning purposes, but less than ideal for leisure activities like lounging, reading, or romance. Dimmer switches provide you with ample opportunity to set your lighting levels perfectly for any activity. There are other benefits you’ll enjoy, as well. The type of bulb you use can have a considerable impact on the amount of energy required to keep your home well-lit. You might already know this if you purchase energy-saving CFLs (compact fluorescent lights) or LEDs (light emitting diodes). However, the level of light you demand can make a difference, as well. When you use dimmer switches to set lighting at a lower level of intensity, you’re reducing electrical draw and saving energy and money on utility bills in the process. The savings may not seem dramatic at first, but they can definitely add up over time, especially when you apply them to every lighting fixture in your home. Modern light bulbs already last a lot longer, as reliable electrician services can inform you. CFLs tend to last more than six times longer than regular, incandescent bulbs, while LEDs last roughly six times as long as CFLs. When you use only a fraction of the capacity of a bulb thanks to dimmer switches, these bulbs can last even longer, increasing your savings over time. This is not only better for your budget, but you’re cutting your carbon footprint as well. The kitchen is notorious for being one of the biggest energy hogs in the home. This is true even with so many green and energy efficient electronics and devices these days. With appliances, lighting, and plenty of time spent on food prep, cooking, and dining, however, it’s easy to see why so much electricity is used in this central hub of the home. Whether your interests lie in cutting your carbon footprint for environmental purposes or you’re simply looking for ways to lower your electric bill (or both), you should know that there are plenty of ways to conserve energy, from DIY fixes to hiring electrical contractors in Vancouver to help you upgrade. Here are a few tips to conserve electricity in your kitchen. Most people are by now familiar with energy-saving CFLs (compact fluorescent lights) and LEDs (light emitting diodes). The former lasts up to ten times as long as traditional incandescent bulbs and uses about a third of the energy. The latter is even more appealing. It doesn’t stop there, though. You can also upgrade all of your appliances to energy-saving models to curb the amount of power they demand. You can go one step further and install new double-paned windows to reduce the amount of heat transfer between the inside and outside of your home. There are many energy-saving products on the market these days, making it easy to implement upgrades that will save electricity and lower your energy bills over time. Local electrical contractors may or may not be able to direct you toward smartphone apps that will help you conserve electricity, but there are several options to explore. You can, for example, find apps that will let you control lighting throughout your home. In some cases, you can even control electronics and appliances in your home remotely. This could help to stop energy drain when you rush out of the house only to realize you left forgot to turn off lights or the coffeemaker. Your fridge probably takes the cake when it comes to energy use, but cooking could also make for a major draw. Even if you have a gas stove, the heat your oven and stove produce while you cook could put your AC into overdrive. For this reason, you might want to schedule cooking during cooler hours and plan to cook several meals at once to make the most use of an already hot oven. As a bonus, you’ll enjoy the added convenience of having all your meals for the week prepared. You can call your local power provider or trusted electrician services to address areas of energy waste in your home. These professionals can see about setting up a home energy audit or getting a referral to a reputable auditing firm. The inspection and testing report will tell you exactly where you can improve when it comes to conserving electricity in the kitchen and throughout your home. When should you hire an electrical contractor? Well, that sort of depends on who you are. But a good rule of thumb is, if you are not absolutely certain you can do it and do it well yourself, then you better call a professional. Electrician services are important and there are skilled electrical contractors in Vancouver to Montana, to Texas to California who can compete with each other to give you a good price. But if you are thinking about hiring an electrical contractor, here are some things to consider. If you can do it yourself, meaning that you have both the ability and the time, well you should. Look at the problem closely, and determine whether or not you have the expertise to get the job done, as well as whether or not you can do it safely. After all, you may be handy, but there are a lot of things that can go dangerously wrong with electrical work, and it’s more likely that the electrician will be covered if one of those things should happen to him. DIY is great, and you’d be surprised by the useful tips and instructions you can find on YouTube and Google for replacing fuses, fixing doorbells, changing out light switches and electrical outlets, things like that. But when sparks start shooting out of your surveillance lights, or you encounter problems with severe surges, it’s better to go ahead and call the pros. Do You Need a Contractor or Electrician? There is a difference between an electrician and a contractor. 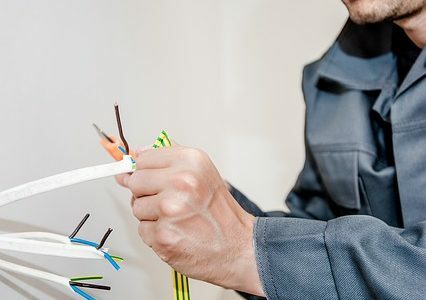 A maintenance contractor or technician might also be an electrician, but while an electrician is there to fix electrical issues that go wrong at your home, an electrical maintenance technician is there to make sure that the wiring throughout your home or commercial structure is functional, to make substantial repairs where need be and deal with advanced machinery. If you have an office building with a complex electrical framework, you are going to want to call in electrical contractors. If you happen to have an industrial facility with an unstable generator, or a conveyance system that is overloading, then you want an electrical maintenance technician. If perhaps you have a meat packing plant full of storage freezers, and suddenly they all start running warm leaving everything smelling like, well, old meat, then you want an electrical maintenance contractor. Bottom line, you have to know more or less what your problem is to know who to call. Once you do, you can find the right person to get your lights back on, or your company back in business.